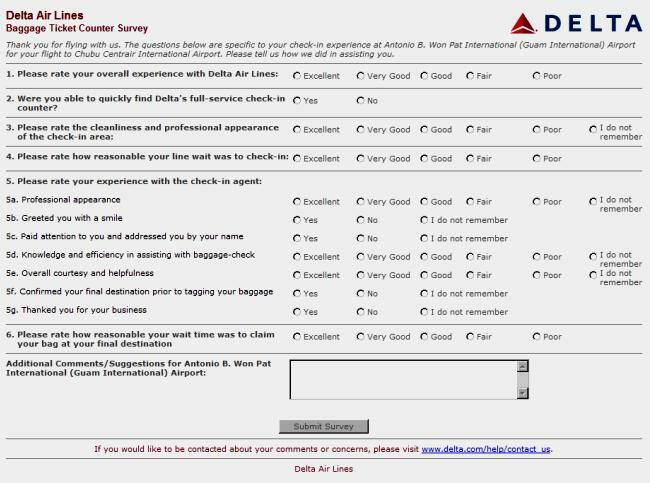 Thank you for flying Delta. We hope you had a great trip. The short survey at the link below includes questions regarding your check-in experience at Guam Intl Airport for your flight to Chubu Centrair International Airport on May 00, 2011. Your feedback on this experience is important to us. We thank you in advance for your input.